I live in snow country. Every winter my community is overrun with eager skiers who can't wait to put on their skies and whiz down those slopes. This is something I have to admit holds absolutely no appeal to me. I could never understand how barreling down a slope and being hit in the face with a freezing cold wind could ever be called fun. If snow really isn't your thing, you might change your mind if you give this a try. A few hours skiing on a sunny winter's day can be surprisingly exhilarating, as well as a great way to get in shape. Cross country skiing doesn't require a lot of equipment, but you do want to make sure you choose wisely. Luckily, you can find out all you need to know online. Here, here and here are a few examples of sites with helpful information. You can also find lots of videos online that will show you just how it's done. Experience and a good instructor is probably the best way, but watching a few of these videos will definitely give you a head start. Here are a couple of videos that show you the basic technique. 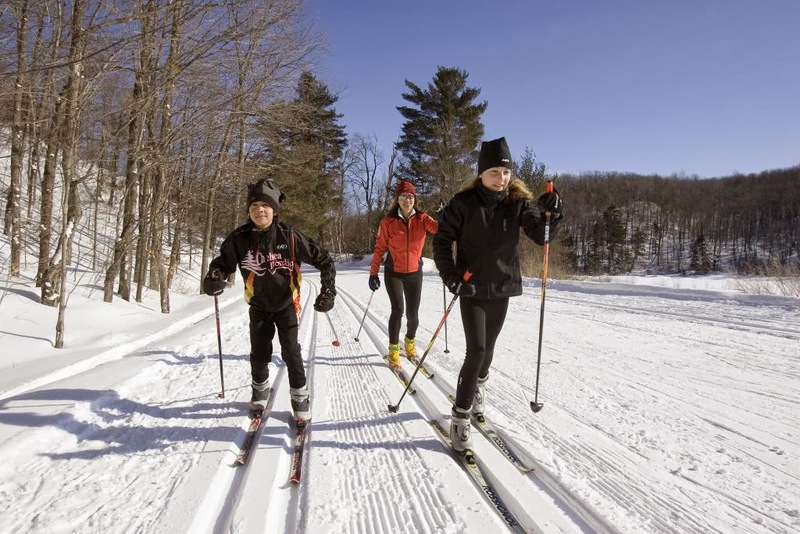 Cross-Country skiing is not only fun, it's also a great exercise choice. This low-impact total body workout is the ultimate cardio exercise, burning more calories per hour than even tennis or speed-walking. And this is just recreational skiing. If you decide to push yourself a bit, or find yourself skiing uphill you could burn over 1,000 calories an hour! 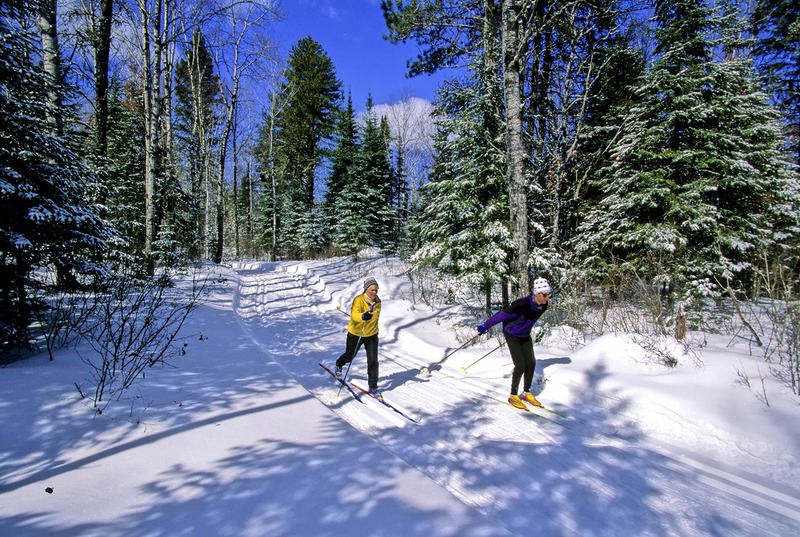 Because no single muscle group in overstressed, you can cross-country ski for hours on end. As a result, a fast heart rate is also sustained for a long duration, and this is exactly what your heart needs in order to be strengthened and to improve your heart's capacity to pump blood efficiently and effectively. Cross country skiing is also one of the safest and lowest-impact sports in the world. Unlike downhill skiing, there is very little shock to the feet, knees and hips thanks to the gliding motion of classic diagonal skiing. So if you are concerned about your joints, this might be a good choice for you. Last but not least, skiing produces a natural high. A good workout on the trail will give you an intense feeling of exhilaration and a wonderful sense of well-being. This is the result of the endorphins that are produced. Even once your ski day comes to an end, this feeling of well-being will linger, practically guaranteeing a stress-free restful evening and a fantastic night's sleep.